On today’s episode find out about a rumor that is flying around regarding where you should take the test and find out why it’s not true. Also, learn what you should strategically focus on instead. “I’ve been a student in 3 Keys IELTS Success System but I haven’t posted my commitment in Facebook. The reason is that I am afraid of taking the test. My target is 7 for each module and I have taken IELTS 6 times and writing is .5-1 point below 7 each time. I do not dare book a test until I am confident about my writing. 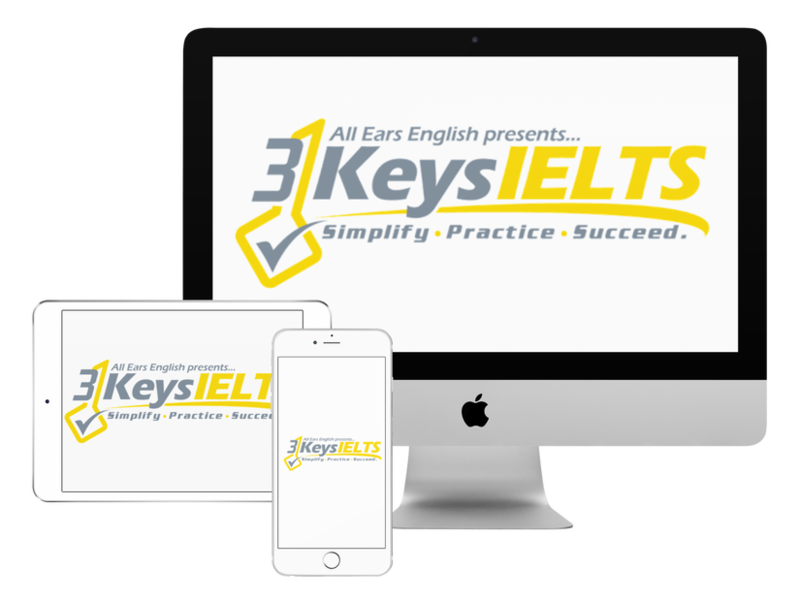 Must I book a test prior to doing 3 Keys IELTS course? There are always myths that come up! There is no way that you’re going to get higher scores in one country or another. If you write the same essay it will get the same scores as your essay in another place. It is a myth that you get higher scores in one city compared with another. If you take the exam in your home country the examiner will be aware of the common mistakes. If you can identify those and make sure you don’t make those same mistakes you will be able to push above a 6 in Speaking even if you have an impressive vocabulary because you will sound just like everyone else. This also can be used for the ideas that you express. Students will tend to use the same type of responses and evidence/examples for questions. When you go into the test and the examiner asks about your favorite family holiday don’t talk about Chinese New Year. Instead, choose the Moon Festival or something that you don’t think everyone else will talk about. A “6” student is not interesting. They say what everyone else says. They make the same mistakes and use the same vocabulary. A “7” student does something different. They use different ideas which show a wider range of vocabulary. Let us know your questions below!